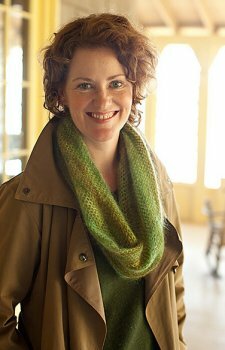 Taken from Churchmouse Classics: This fun crochet moebius cowl adds a little bit of interest to the classic single-crochet stitch in a light and airy yarn! Size US L Crochet hook (or size needed to obtain gauge), a locking stitch marker, and a blunt darning needle are required but not included. Finished Measurements: Small- 24" circ. x 11" deep; Large- 38" circ. x 15" deep. Color Shown is: Small photo- Kidsilk Haze in #597, Large photo: Kidsilk Haze Stripe in #357.